This page outlines some of the most frequently asked questions regarding hip replacement and knee replacement surgery. Click on a question below to view the answer, or request an appointment today to consult with Peter K. Sculco, MD directly. For perioperative instructions, please visit this page. To request an appointment, please call 212.606.1771 or fill out the form on this page. For directions to our office, please visit this page. What insurance does Dr. Peter Sculco take? For a list of our accepted insurance providers, please visit this page. 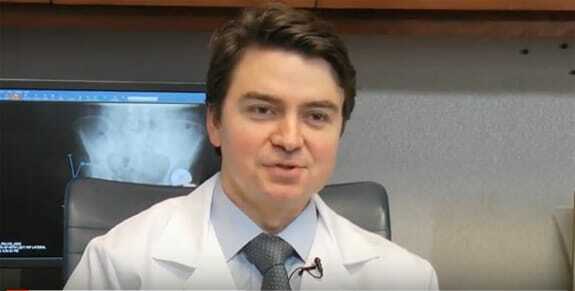 What do patients have to say about Dr. Peter Sculco? To view some of Dr. Sculco’s patient testimonials, please visit this page. After a joint replacement, do I need to take antibiotics prior to seeing the dentist? We recommend refraining from any dental procedures (including dental cleaning) for three months following surgery. When you see the dentist after this time frame, you must take antibiotics one hour prior to any dental appointments. Your dentist can write this prescription. Please call their office several days prior to your dental appointment to obtain this prescription. Taking antibiotics prior to dental appointments helps to prevent an infection around your joint replacement. During a dental procedure, bacteria from your mouth may enter your blood stream, which can happen from a bleeding gum. These bacteria could travel to your joint replacement and cause an infection of your joint replacement. Therefore, Dr. Sculco would like you to take precautions to avoid this and requests that you take antibiotics prior to any dental procedure. This is typically recommended for the first two years following surgery, or indefinitely depending on your health and medical history. What type of antibiotics should I take prior to dental appointments? Your dentist can prescribe an oral antibiotic (either Amoxicillin or, if allergic, Clindamycin) for you several days prior to your procedure. It is recommended that you take this antibiotic one hour prior to your dental appointment. Note: This is for simple dental cleanings or minor procedures. More extensive dental procedures may require different or longer antibiotic coverage.